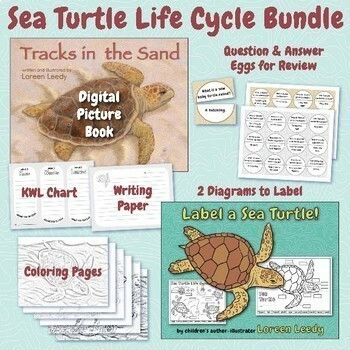 Your students will read an award-winning nonfiction picture book, review sea turtle facts, complete a KWL chart, label two sea turtle diagrams, and more with this discounted bundle of life cycle activities. 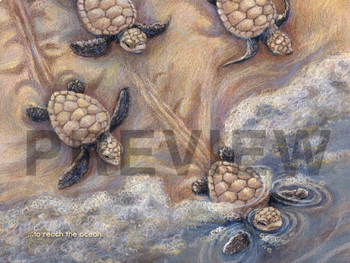 The realistic illustrations in Tracks in the Sand show sea turtles in the process of digging a nest, laying eggs, hatching, and hurrying to the ocean. The printable Question and Answer Eggs allow your class to review and match facts from the informational picture book text. Students can label a body parts diagram and a life cycle diagram. Coloring and writing pages adapted from the book’s illustrations are also included. Great for Ocean, Reptile, Marine Animal, or Life Cycle units. The download has one PDF plus two more PDFs in a ZIP file. The book is sized for tablets and screens; on tablets, open in iBooks or any PDF reader. 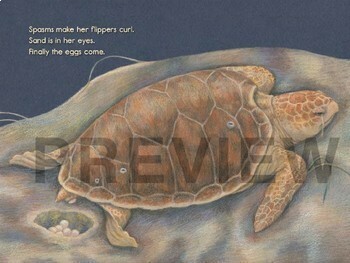 Click to view the individual sea turtle book and activities product. 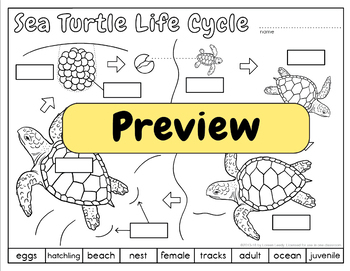 Click to view the individual sea turtle labeling product. Please follow me for new freebies and classroom materials. And remember to earn your TPT credits by rating your purchases. Thank you for visiting!